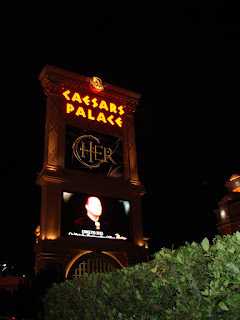 Caesars Palace is awesome because it has Cher, but shouldn't it also have an apostrophe? It could belong to Julius (Caesar's) or more than one member of the family (Caesars'), but I think there should be some sort of possessive punctuation there. Update: My research tells me that the original owner of Caesars Palace intentionally left out the apostrophe to make everyone feel like royalty. I suppose that sort of makes sense. Thoughts? 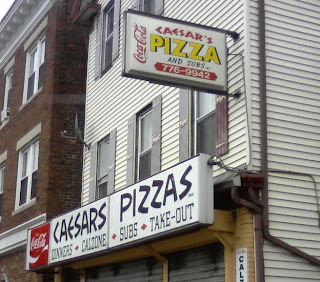 And speaking of Caesars, this pizza place in Somerville can't seem to make up its mind. 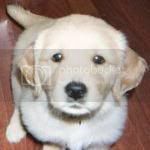 Apostrophe or no apostrophe? That is the question. Oh, wait, that's a different play. Okay, it's owned by a guy named Caesar. But could it also be selling caesars? That would be why it's in such a big font next to "PIZZAS." That makes sense. Caeser salads, perhaps? We are seeing the apostrophe disappear in commercial names more and more, from Caesars Palace to Walgreens to Albertsons. I suspect a contributor is the inability to use apostrophes in web addresses, and the companies are conforming to that inability. Anon, how was their pizza? Thebruhaha, good point about URLs! I'm going to take a stab and say the 3' high apostrophe was too expensive for the casino.